Unless you’ve been living under a rock for the last 4-5 days, you’ve likely heard about the trademark debacle between bike industry giant Specialized Bicycles and local bike shop little guy Cafe Roubaix Bicycle Studio in Calgary. Specialized maintain that they hold trademark rights on the name “Roubaix” when it concerns bicycles or bicycle related industry. Not wanting to get into a expensive and drawn out legal feud with legions of corporate thugs lawyers, shop owner Dan Richter was left with little choice but to succumb to the big red S’s demands. That is, until today. Advanced Sports International (ASI) owners of Fuji Bikes, count Roubaix among the bikes in its line. 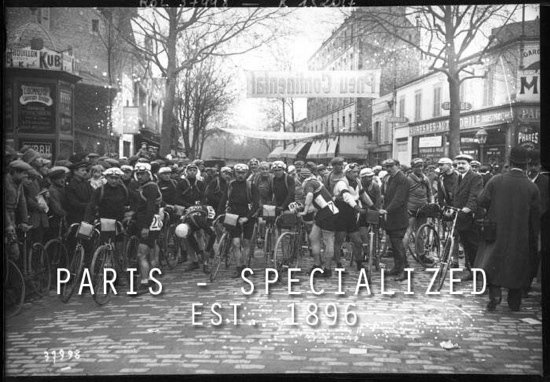 Bicycle Retailer and Industry News, reports, ASI claim that they own worldwide trademark rights to the name Roubaix and have licensed it to Specialized since 2003. The company’s CEO says, he’s happy to let Richter use the name for the shop and after some license wrangling he will be able to keep on doing his thing under the same name.